Sixties style on a shoestring budget. Three bargain buys without breaking the bank! Sixties style on a shoestring. Fabulous budget buys that won’t break your bank! Budget buys are a must when dabbling in a new style! My wardrobe has, at some point or another, contained shapes and styles from all eras ranging from high street to vintage and back again. Not one to believe in boxes but I guess my style could best be described as “quirky” – or at least, that’s what they tell me. Flitting from the late fifties to the sassy sixties – I love bright colours as well as clothes that make me feel fabulous. Now that it’s cold (well up north that’s pretty much all the time) and your digging deep into the back of your wardrobe for some inspiration, it can sometimes be impossible to know where to start. From someone who loves the glamour of the fifties and the sass of the sixties, these are my favourite budget buys for those mods that are just dabbling in the sixties and want to kick start their winter wardrobe…..
Definitely a “sixties must”– a trusty pair of colourful tights. These delightful little darlings are the first thing I put on if I want to brighten up my day. It is easy to build an outfit around a color. Have a look in your wardrobe to see if you already have a few items that are similar colours, then buy tights to go with. If you are not too confident with colour just yet, keep the rest of your outfit simple. Maybe a classic black/white to start with, and add a splash of colour on your legs for a quick and simple sixties feel. Now it depends on your legs/knees as to how you will feel about wearing these. I am not a huge lover of my knees. Because of this, I have a love/hate relationship with these cosy socks. They are perfect for wearing about the house though and when the seasons are just about changing but you don’t want to wear tights. I personally find coloured tights more flattering on myself than over the knee socks so I tend to stick to those instead. Some even wear tights underneath with a pair of knee socks over the top. Just try it and find the right combination for you! For a classic “Mary Quant” look – a patterned or brightly coloured pair of tights under a mini skirt or shift dress is a simple easy sixties style in a flash. 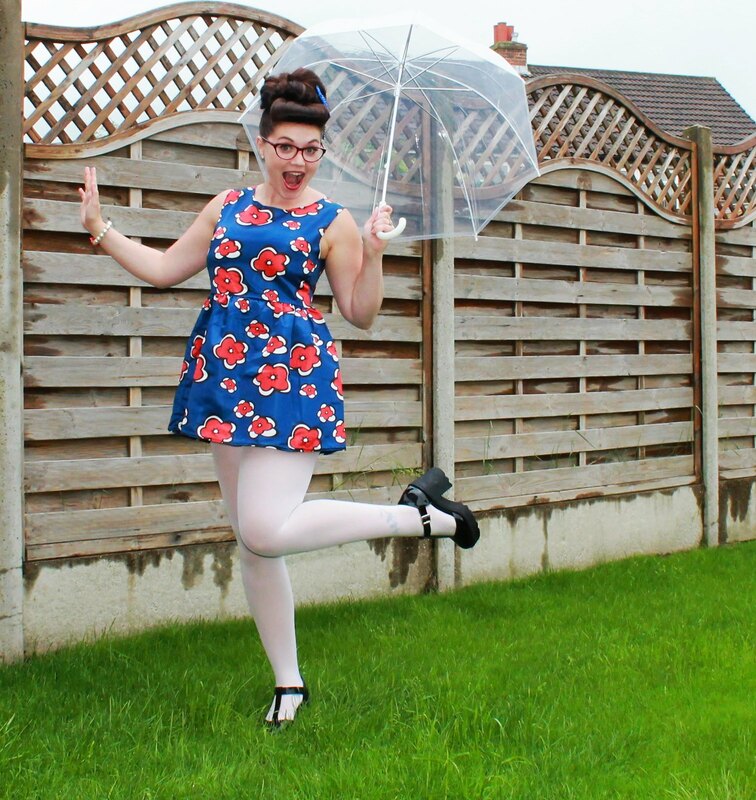 Pamela Mann – the Queen of colour tights! Mysassi Tights – available on ebay – cheap, fab colours and great quality too! From Twiggy to Jackie Kennedy – the shift dress was a true love for all sixties fashion followers. With such a classic and elegant shape, the shift rarely goes out of fashion. Also often favoured for all occasions from the office to a smart wedding outfit. With a little bit of tailoring and a change in colours, prints or lengths this shape is extremely versatile. You can change the whole feel of your outfit with a few different accessories. Admittedly, if you have curves, then the simple up and down shift may be tricky. I have hips and a bust so sometimes this can be difficult for me. Because of this, I prefer a shift that is slightly tailored at the waist or one that has darts in the bust to nip me in a little better. I love that you can wear them with polo necks or shirts underneath with or without tights. It makes this a style that stays in my wardrobe all year round. It takes confidence to wear a shift style dress as they can be shorted than most dresses and sometimes more fitting than you normally like to dare. Not for everyone, but I adore a Jackie Kennedy look and think its classic, sophisticated and glamorous. Madap England – bright colours, amazing patterns, classic 60s shapes and they wash really well – I love this brand. Definitely check their selection of mod dresses out. Madmeoiselle YeYe – A German company, they do ship to the UK though. What I love is that they are a member of the Fair Wear Foundation – so their range is not only full of sixties sass but also ethical too. eBay or Amazon are great places to pick up cheap as chips shift style dresses if you are wanting to explore this shape for yourself. From as little as £8 – £10 you can find shift dresses. Try them out and then go for a more outrageous colour/pattern. More fancy dress than “oooh I fancy a pair of those” is the shiney PVC go-go boot typically worn by Go Go dancers in the mid to late sixties. The original go-go boots as defined by Andre Courreges in 1964 were white, low-heeled and mid calf in height. The modern day take on a go-go boot seems to be a white knee high shiney plastic PVC high heeled boot. These are most often worn if you are off to an Austin Powers themed party. You can find lots of imitation go-go boots on ebay or amazon for about £20 – £25 with a zip or lace up fastening. I personally prefer a mid calf boot with a block heel when wearing my minis or shift dresses. For me, I think it just works better for my legs. I have THE best pair of boots in the entire world actually that I got from Olive Aubrey. Now, I am pretty sure you have already heard me shout about them numerous times but just in case you haven’t – here is the link to my previous post. They were one of their “special buys” but I am certain they will be re-stocking them as they have been so popular. A block heel just goes with everything. Comfortable to be on your feet and easy to dance the night away in. I just cannot wear anything else now! A good pair of knee high boots is worth its weight in gold. I have a couple of pairs of over the knee boots which I also wear with dresses, mini’s and over jeans/trousers. However, I love my mid calf boots just that little bit more. Knee high and over the knee / thigh high boots are a style that comes in every season as they keep your legs warm and are generally ideal for when its cold. If you do go for a go-go boot and want to look les “fancy dress” then don’t wear with the typical “racing car chequered flag” pattern. Instead opt for a subtler little black shift dress or one block colour instead. A simple google search will throw up that dreaded “Austin Powers” fancy dress outfit and then you will know exactly what I mean! I am on the hunt for some mid length calf boots in white that are less fancy dress than most so I would love to hear from you if you manage to find some! Olive Aubrey – This brand has some great “special buys” and are a great investment. Truly unique and great quality. They are the closest thing that I have found to “true vintage” style footware. Their shoes are also a low heel and ideal to wear with all sixties styles. eBay – search for “go-go boots” – I have linked a search so you can see just how cheap you can get a pair of go-go boots for if you do like this look and want to experiment. They range from anything between £14 – £35 in this search and many colours as well. Amazon have a similar selection too. A photo posted by Georgia  (@georgiaharrup) on Dec 7, 2016 at 12:31am PS So there you have it. 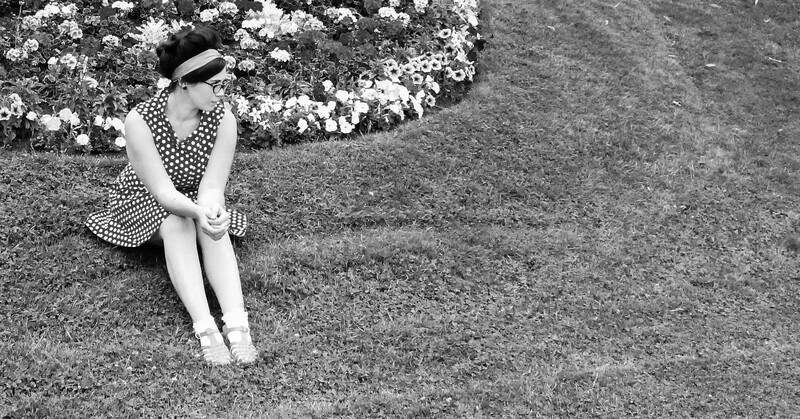 Three easy peasy ways to dip your toes in the world of sixties sass and not break the bank. The sixties was all about change, experimenting. It was the decade that broke many fashion traditions mirroring social movements of the times. It’s just one of the many reasons why I love that era – because people dared. Previous Post Beehive Yourself – How To Do A Sixties Beehive And NOT Wreck Your Hair….